CALGARY—The legalization of recreational marijuana next week is reopening old wounds and sparking new battles between employers and employees in high-risk jobs that could wind up in the court system. 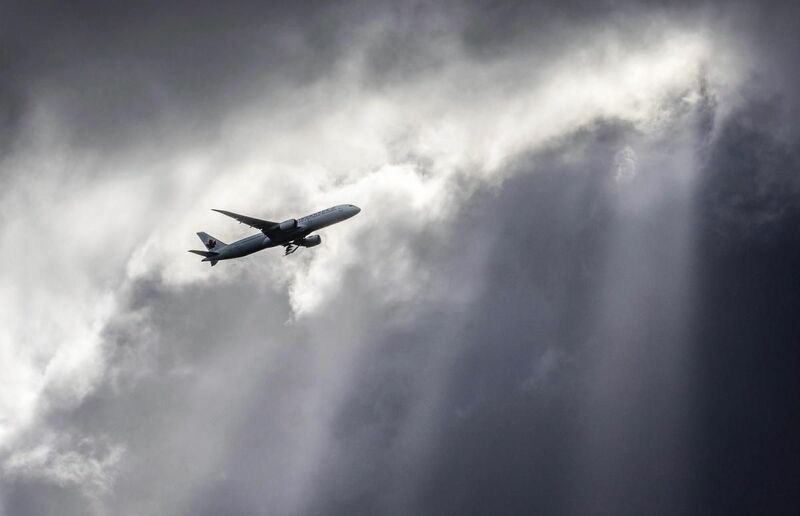 A recent decision by Air Canada to prohibit all employees in flight operations and aircraft maintenance from using cannabis at all times, both on-duty and off-duty, has raised eyebrows on both sides of the debate. On Tuesday, rival WestJet Airlines said it, too, will ban recreational cannabis use for employees in “safety-sensitive” positions both on and off the job. Niki Lundquist, a lawyer with Unifor, a union that represents 315,000 Canadian workers, said the trend is all too common. “In the past two weeks we’ve been inundated with amended drug and alcohol policies — and those policies actually purport to regulate off-duty conduct, so use of any kind,” she said. She said the union is writing opinions on why such policies won’t stand scrutiny, as well as filing grievances. It’s preparing to take employers to court, if necessary, to prove that Canadian law doesn’t allow such “intrusions on employees’ dignity and privacy,” she said. Several large Canadian employers in industries ranging from mining to steel to transportation declined to comment for this article on their drug policy updates. But Kevin Neveu, CEO of Precision Drilling Corp., said he feels ready for legalization after his company “modernized” its employee policies. “For example, in our operating rules, we used to require that our workers be drug- and alcohol-free,” he said. A key safety provision at Precision’s drilling sites is a morning fitness test, where managers must assess workers to make sure they are ready for the job. The managers are trained to watch for illness or excessive tiredness as well as drug or alcohol impairment, Neveu said. If marijuana impairment is suspected, the employee can be sent for urine or blood testing. A positive test could lead to them being terminated. Employee education starts during a three-day orientation for new Precision employees during which a drug and alcohol test is performed. If the employee tests positive, they are disqualified and must wait 90 days to apply again, Neveu said, adding that about 15 per cent will fail. Random drug testing is allowed in most of the U.S. states where Precision operates and is a useful tool to head off drug use problems, Neveu said, adding the company only uses that tool when it’s needed. He added he’s disappointed that random drug testing isn’t allowed in Canada given the difficulty in identifying a worker who may be impaired by marijuana. The company handles medical marijuana in the same way it handles any prescription drug, on a case-by-case basis that assesses whether the person can continue safely in each job based on how the drug is likely to affect him or her, he said. At heavy oil producer Canadian Natural Resources Ltd., both recreational and medical marijuana products are banned, spokesperson Julie Woo said. Several studies published over the past year have shown that many employers in Canada aren’t ready for legalization. That’s still true, said Paula Allen, vice-president of research and integrative solutions for consultancy Morneau Shepell. Many are on the sidelines waiting to see what happens, she said, adding the cost of inaction could be enormous for those firms. Policies will evolve over the six to 18 months after the new pot laws are set in place and workplace problems begin to appear, Allen said. Key issues revolve around how testing is used to support an employer’s claim of impairment, she said, as users of cannabis can test positive for a long time after the impairing effects have worn off. Lundquist agreed that testing is an unresolved issue.